One young newly-married couple found three small homeless cats in a box outside their house: they were all white, dirty, hungry and cold. The young couple brought them into their house. They named these cats: Mun, Miu, Mon. Mun has different-color eyes: yellow and blue, hyperactivity, on the other hand, Miu and Mon are rather shy. They finally found a warm home with love and happiness and started to learn human language... Everyone deserves to have a family and to learn good things even if they are cats. 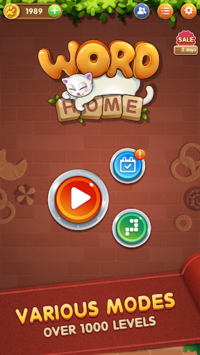 Word Home is a simple and exciting word connecting puzzle game that makes you addicted! Are you ready to discover all the hidden words at the home of our lovely cats? It is funnier if you enjoy Word Home with friends and family. Challenge them to see who will become the word master. 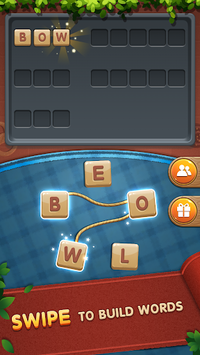 • Simply connect the letters to make a meaningful word and earn coins. • Find all the hidden words to finish a level. • Enjoy moments of collecting all hidden words. WHAT MAKES WORD HOME SO SPECIAL? • Competition Mode: challenge yourself within 5 minutes to complete difficult daily level with up to 8 letters. Get your score, rank-up and beat your friends on the global leaderboard to become the Best Word Master of the world. Open at Level 133. • Daily Challenge Mode: Join and have fun with 5 rounds of daily challenges! • Daily Bonus: earn Bonus by playing the game every day. "Word Home" contains ads like banner, interstitial and video ads. 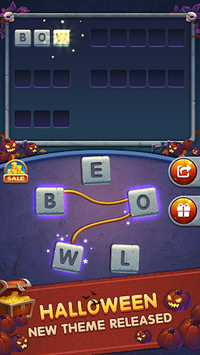 "Word Home" is free to play, but you can purchase In-app items like AD FREE and in-game currency to buy hints alike.